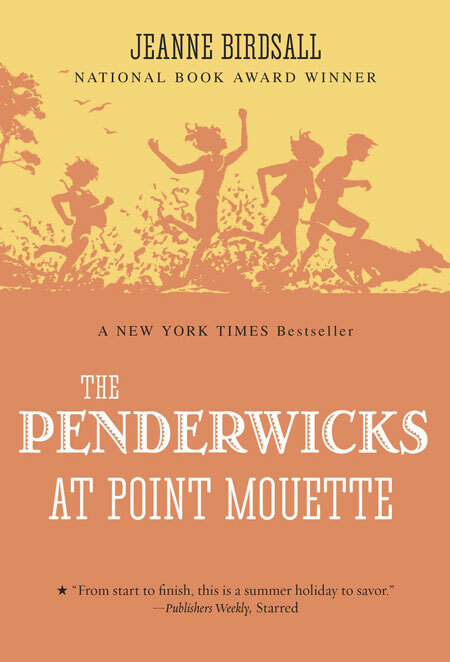 In the third book about the Penderwicks, when summer comes around, it’s off to the beach for Rosalind . . . and off to Maine with Aunt Claire for the rest of the Penderwick girls, as well as their old friend, Jeffrey. That leaves Skye as OAP (oldest available Penderwick)—a terrifying notion for all, but for Skye especially. Things look good as they settle into their cozy cottage, with a rocky shore, enthusiastic seagulls, a just-right corner store, and a charming next-door neighbor. But can Skye hold it together long enough to figure out Rosalind’s directions about not letting Batty explode? Will Jane’s Love Survey come to a tragic conclusion after she meets the alluring Dominic? Is Batty—contrary to all accepted wisdom—the only Penderwick capable of carrying a tune? And will Jeffrey be able to keep peace between the girls . . . these girls who are his second, and most heartfelt, family?